Ruth Anne Roberts, 81, of Saint Marys, died 11:15 A.M. Thursday, August 16, 2018, at Otterbein Saint Marys Retirement Community. She was born April 17, 1937, in Saint Marys, the daughter of Harold and Annabelle (Shimp) Burger. She married Kenneth Dee Roberts on October 15, 1955, at the Grace United Methodist Church in Saint Marys, and he preceded her in death on March 5, 1996. She is survived by her children: Craig Roberts of Jacksonville, Florida; Cathy Roberts of Indianapolis; Jon (Julie) Roberts of Saint Marys; Rick Roberts of Celina. She is survived by 9 grandchildren and 4 great-grandchildren. She is also survived by 2 brothers: Robert (Sue) Burger of Georgia; Jim (Cleora) Burger of Saint Marys. Ruth was preceded in death by her parents; husband; by a daughter, Christine Roberts. 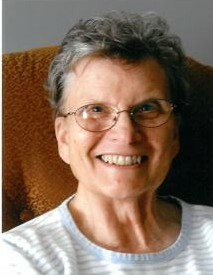 She was a 1955 graduate of Saint Marys Memorial High School. She had been employed at Auglaize Industries in New Bremen. She was a member of Grace United Methodist Church in Saint Marys, and she enjoyed volunteering at Agape Ministry in Saint Marys. She also like going out with her many friends, camping, walking and looking for antiques. Funeral rites will be held 11:00 A.M. Tuesday, August 21, 2018, at the Miller Funeral Home, 1605 Celina Road, Saint Marys, the Reverend Tim Benjamin, officiant. Burial will follow at Elm Grove Cemetery, Saint Marys.